Before I start this long post on Intelligent Elimination Techniques (IET), I would like to tell you two things. One – This post would be lengthy 🙂 However, it would be worth your time if you read it till the end (and adopt it in your regular practice). Two – There is a ‘Disclaimer’ regarding this post, which I have added just below. You should read that, before starting to use these techniques. Intelligent Elimination Techniques (IET) are not a replacement of traditional knowledge, study materials, books, or mock test series. IETs are supposed to supplement your preparation and hence boost your Prelims score. There is no guarantee that the elimination techniques (which are general in nature) work all the time. It may not. 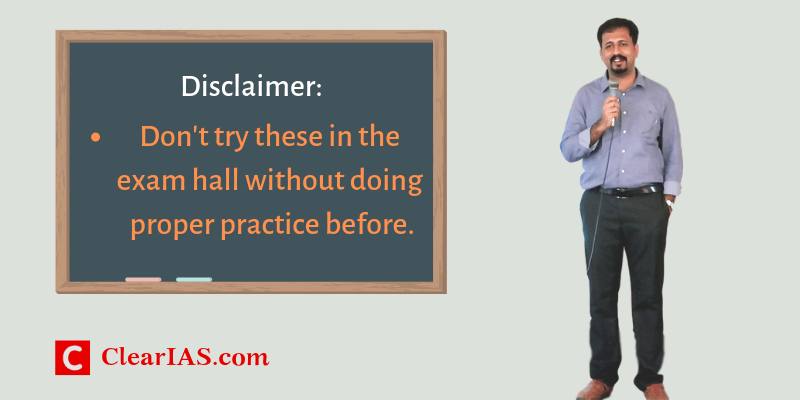 We recommend aspirants to try these techniques in exam hall only after checking its effectiveness against previous year UPSC question papers as well as ClearIAS Prelims Mock Test Series. If this is fine, let us start by analysing nature of UPSC CSE Prelims Questions. Let us focus our attention to the UPSC Civil Services Preliminary Examination. Prelims Question Paper contains 100 Multiple Choice Questions (MCQs). Against each question, 4 different answer choices will be given. Only one out of the four choices would be the correct one. If you mark it correctly you would get 2 marks. If you mark any of the three other choices, your answer would go wrong. To make matters worse, there is a penalty too. -0.66 marks would be deducted from your existing score. Should you make guesses in the exam hall? There is a penalty in the form of negative marking; Should you do make guesses in the exam hall? It is always better not to make random or wild guesses. But that is not the case with intelligent guessing. My method of intelligent guessing is just based on common sense. If you have it, great! You are already half successful! Applying common sense has helped me and many of my students to clear prelims multiple times. In MCQ based exams, the correct answer is right there on the question paper itself. It is one of the 4 answer choices – A, B, C, or D.
Eliminate wrong answer choices to be left with the right answer choice. Until now, the core focus of most aspirants would have been to find the right answer by increasing the knowledge level. Fine. However, it would be greatly useful for you if you master the 2nd option as well – intelligent elimination. We will see how can we arrive at the correct answer choice by eliminating the wrong answer choices. 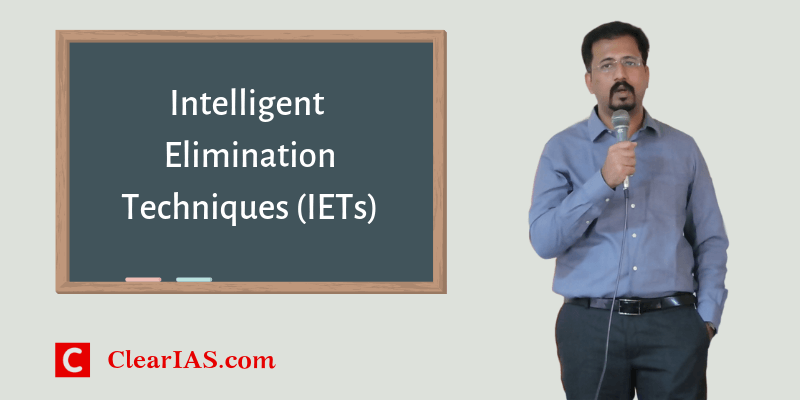 Intelligent Elimination Techniques (IET) are highly useful tricks to solve Multiple Choice Questions (MCQs) in most of the objective type-exams (like UPSC Civil Services Preliminary Exam). ClearIAS Prelims Online Mock Test Series. In my secret armoury to clear UPSC CSE Prelims, there are more than 40 Intelligent Elimination Techniques (IETs)! 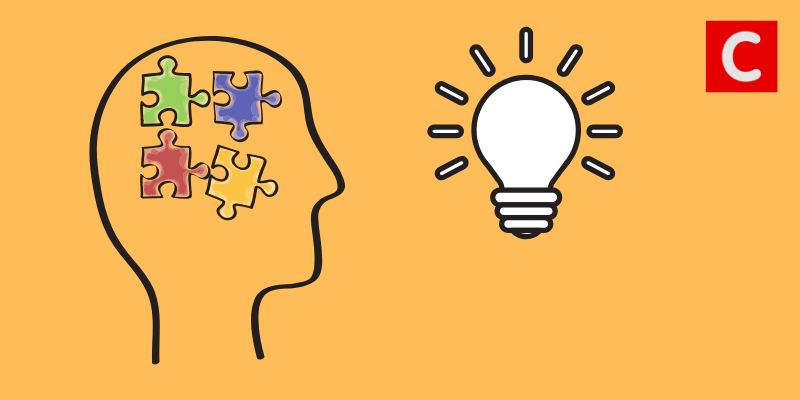 It may not be explicitly mentioned, however, many of these techniques are added in ClearIAS Prelims Test Series – enabling enrolled aspirants to develop intelligent elimination as a way of thinking. It has already worked wonders – see the testimonials of toppers. I am always happy to empower serious and genuine aspirants with multiple strategies and techniques to clear the toughest exam in India. In this post, we would be discussing 10 IETs, and see how can practising these techniques boost your prelims score exponentially. Is there answer choices that are completely unfamiliar to you? If you have diligently prepared for an exam, yet an answer choice seems to be completely foreign, then that choice is more than likely incorrect. Qn) In the context of India, which one of the following is the correct relationship between Rights and Duties? A) Rights are correlative with Duties. B) Rights are personal and hence independent of society and Duties. C) Rights, not Duties, are important for the advancement of the personality of the citizen. D) Duties, not Rights, are important for the stability of the State. Correct Answer: A) Rights are correlative with Duties. IET – How can you arrive at this answer? Just go through different answer choices. Despite carefully studying many of the best-selling books for Indian Polity – Laxmikanth, D. D. Basu etc – have you ever come across any statement like (D) Duties, not Rights, are important for the stability of the State, (C) Rights, not Duties, are important for the advancement of the personality of the citizen, or (B) Rights are personal and hence independent of society and Duties? In fact, what we have learned is that Rights and Duties are equally important. Rights and duties are two sides of the same coin. Which statement best expresses this meaning? Answer – (A) Rights are correlative with Duties. IET-2: Look for opposite answer choices. One of them can be the right answer. Another thing that you can do to improve your odds of answering the question correctly is to look for answer choices that are complete opposites of one another. Often times one of the two answers is going to be correct. IET – How will you find the correct answer using this technique? Just narrow down your selection to answer choices that are complete opposites of one another. In the above case (C) and (D) contradicts each other. So the chance of any one of them to be the right answer is 50%. Use common sense now. If the bank rates are high, interest rates will be high – for deposits as well as loans. What would it mean with respect to ease of access to loans for corporates – easy or tight? Tight, right? Yes. You have found the right answer. (D) Central Bank is following a tight money policy. IET-3: Look for look-alike choices. One of them can be the answer. Conventional wisdom often dictates that if two answers look-alike but are slightly different, one of the two choices is probably correct. Qn) What is the purpose of ‘evolved Laser Interferometer Space Antenna (eLISA)’ project? IET – Here the look-alike choices are A, B, and C. Choice ‘C’ can be eliminated as it mentions about missiles, while the question is about ‘space’ antenna. We know that missiles are not generally connected with ‘space’. Now the choices are reduced to just 2 – A or B. Neutrinos can be detected even from earth. Remember the controversy about the India-based Neutrino Observatory (Tamil Nadu). The question is about Laser and Space. This eliminates option A. What is remaining is option B – which is the right answer. eLISA is used to detect gravitational waves. IET-4: Answer choice with ‘Always’ and ‘Never’ are usually wrong. Words such as ‘always’ and ‘never’ reflect that an answer choice would apply regardless of the situation. Answers containing words like ‘always’ and ‘never’ are typically incorrect. IET – Option ‘A’ has the word ‘never’. It is a too general statement, which can rarely be true. In fact, many Indians wanted a review of the working of the Act of 1919. Eliminate that option. Option D can be eliminated if you know the year of arrival of Simon Commission (1927). Partition became a topic in Indian History only by 1940s. Extreme statements have more chance to be wrong in case of social sciences. Qn) What is/are the most likely advantages of implementing ‘Goods and Services Tax (GST)’? 1. It will replace multiple taxes collected by multiple authorities and will thus create a single market in India. 2. It will drastically reduce the ‘Current Account Deficit’ of India and will enable it to increase its foreign exchange reserves. 3. It will enormously increase the growth and size of the economy of India and will enable it to overtake China in the near future. IET – Be cautious of the extreme statements. Statement 2 mentions about ‘drastically reduce’ while Statement 3 mentions about ‘enormously increase’. The adjectives do not fit the above context with respect to GST and can hence be easily eliminated. What is remaining is only statement 1. Hence correct answer is A) 1 only. Every once in a while you might be able to eliminate a possible answer choice by using grammatical context. Even though UPSC has gotten a lot better about this over the years, you might still occasionally see questions in which one or more of the answer choices simply does not fit with the grammatical context of the question. Such answers can be instantly eliminated. Qn) The annual range of temperature in the interior of the continents is high as compared to coastal areas. What is/are the reason/reasons? IET – Sometimes, if you look at the UPSC question statements or answer choices you notice something as missing. For example, statement 3 just mentions the Presence of strong winds in the ‘interior’. It is not properly clarifying interior of ‘what’. Same is the case with statement 4. Much more problematic is statement 2 which mentions ‘altitude of continents’ which is not a phrase true grammarians agree. Eliminating 2, 3, and 4 – you are left with only statement 1. So the correct answer is A) 1 only. If you are having trouble figuring out which answers can be eliminated, don’t assume that the most complicated answer choice is correct. Often at least one or two of the possible choices will be unnecessarily complicated and are designed to serve as distracters for those who do not know the material. In most cases, the unnecessarily complicated option is wrong. Qn) In India, if a species of tortoise is declared protected under Schedule I of the Wildlife (Protection) Act, 1972, what does it imply? A) It enjoys the same level of protection as the tiger. B) It no longer exists in the wild, a few individuals are under captive protection; and now it is impossible to prevent its extinction. C) It is endemic to a particular region of India. D) Both (b) and (c) stated above are correct in this context. Correct Answer: A) It enjoys the same level of protection as the tiger. IET – Option B is artificially complicated. It goes even to the extent of saying “…it is impossible to prevent its extinction.” This should raise a red flag in your head. This should be wrong. If B is wrong, D too is wrong. This line of thinking helps you to eliminate 2 answer options. IET-8: If UPSC uses the word ‘can’ in the answer choice/statement for Science and Technology Questions, that choice/statement has a high probability of being correct. Consider this question asked in UPSC CSE Prelims 2018. A high content of organic matter in soil drastically reduces its water holding capacity. Soil does not play any role in the sulphur cycle. Irrigation over a period of time can contribute to the salinization of some agricultural lands. IET – The first 2 statements use extreme words – ‘drastically’ and ‘any’. It can be eliminated. To further ease your selection, the last statement has a ‘can’. ‘Can’ shows a future possibility – which is most likely true with respect to most of the Science and Technology questions. How to create wrong statements? One of the easiest and naïve methods is to change numerical values or units. Consider this UPSC CSE 2016 Question. Qn) With reference to ‘Astrosat’, the astronomical observatory launched by India, which of the following statements is/are correct? 1. Other than the USA and Russia, India is the only country to have launched a similar observatory into space. 2. Astrosat is a 2000 kg satellite placed in an orbit at 1650 km above the surface of the Earth. IET – Can you identify what is wrong in this question? Which statement(s)? Actually, both statements are wrong. Lets first consider Statement 2. The problems with this statement are wrong numerical values. Actually, ASTROSAT has a lift-off mass of about 1513 kg and was launched into a 650 km orbit. The UPSC Question Paper experts just changed the numerical values about Astrosat to make this question wrong. If you keep a suspicious eye towards numerical values you see in question papers, there is every chance you can eliminate wrong choices. (This does not mean every numerical value mentioned in UPSC Question paper is wrong). What about Statement 1. The problem in this statement is the word ‘only’. India is not the ‘only’ country other than the USA and Russia. I have already warned you to be cautious about extreme statements. IET-10: If any part of an answer choice is false, then the entire answer choice can be eliminated as wrong. Another great strategy is to use what I like to call a true/false test. The basic idea is that if any part of a potential answer is false then the entire answer is incorrect. 1. Inaugural IONS was held in India in 2015 under the chairmanship of the Indian Navy. 2.IONS is a voluntary initiative that seeks to increase maritime co­operation among navies of the littoral states of the Indian Ocean Region. IET – We have already told you to be cautious of numbers in the statement. In this question, the first statement has a number – 2015. This value is actually wrong. Apart from this, the rest of the statement is correct. However, if a part of the statement is wrong, you should eliminate the entire answer choice as wrong. By the way, do you know which is exactly the right year? Answer – 2008. Any guess on which section of the UPSC syllabus? Answer – Current Affairs. Yes, info about an event in 2008 can be asked in 2017 prelims under current affairs! Intelligent Elimination is a way of thinking! For many like me, this approach comes naturally. No, I was not hinting that I am ‘super intelligent’ so that cracking MCQs set by UPSC was always a cake walk. In fact, I failed to clear the UPSC cut-off marks when I appeared for my first Prelims. I was working in an IT company then, had no idea about UPSC exams, took CSE prelims with ZERO preparation to get a feel about the exam difficulty. The result was as expected – I didn’t clear. Wasted 1 valuable attempt! However, there was one major positive outcome from that attempt. It changed my way of thinking. I started to see the UPSC Civil Services Exam Preparation seriously. I resigned from my job and to start UPSC preparation. My primary source was my old question paper – the same UPSC question paper which I was unable to crack. I started to analyse it. I tried to figure out why I went wrong in so and so questions. I extended my research to all previous year UPSC question papers available then. I got many insights. I started ClearIAS website (yes, you are reading this post on the same source now! ), soon followed by ClearIAS mobile App and ClearIAS Online Mock Exam platform. I was still an aspirant, just starting my real UPSC preparation with just three differences. First, my style of preparation was different. Second, I had a passion for teaching and had many things to share with fellow aspirants. Third, by the time I started to give UPSC Interviews, I was running a website, ClearIAS.com, used by millions of fellow aspirants. UPSC Members too seemed interested in the same during my personality-test, I got many questions on this EdTech startup, as I had kept the details about it in my bio-data (DAF). I cleared my Prelims, Mains, and qualified for UPSC interview in my first ‘serious’ attempt – which was actually my 2nd attempt. After that, I cleared every other attempt I appeared for UPSC CSE Prelims. In total, I successfully cleared the UPSC Prelims 5 years in a row scoring well above the general merit cut-off marks – ever since I got that ‘enlightenment’! All this was achieved running ClearIAS.com – clocking 30 lakh+ page views/month – in parallel. Without a doubt, ClearIAS Prelims Online Mock Test Series was the backbone of my preparation. I never referred to any other mock exams – online/offline, once we developed this pan-India platform. Many of the ClearIAS Team members with a similar line of thinking, later landed in civil services like IAS, IPS, IRS, IPoS etc. As I mentioned in the beginning, Intelligent Elimination Techniques (IETs) which I used in my UPSC Prelims attempts was the 2nd reason for my consistent success in UPSC prelims. Of course, my experience with setting and taking ClearIAS Prelims Online Mock Test Series should have bolstered my lateral thinking. However, once I was in the track, in the exam hall, intelligent elimination techniques came naturally to me. I became so familiar with the kind of UPSC questions that it was quite easy for me to find the wrong questions or statements. Even on questions which I had no clue, I was able to successfully mark the correct answer, eliminating the wrong choices. I have only included only 10 IETs in this post. As I mentioned before, there are a lot of other IETs. Even you too can develop your own IETs. Every time I try to solve a UPSC CSE Question paper using lateral thinking, I notice some patterns. I also see the possibility of using a new elimination technique. As part of ClearIAS resource base, we have compiled more than 40+ IETs which have direct application in UPSC CSE Prelims. It has taken a lot of research and time of our team. ClearIAS Prelims Online Test Series – as part of the learning process. ClearIAS Workshops – those who have attended ClearIAS Workshops (ClearIAS Prelims Marks Booster Program) have already learned 20 Intelligent Elimination Techniques (IET). In exams, despite all your hard work, you will get ‘difficult’ questions in which you may not know the correct answer. Most of the objective type-exams (like UPSC, SSC etc) has negative-making too. What will be your approach to those questions? Will you leave those questions unattempted? OR will you take an intelligent guess? If your answer is that you would take an intelligent guess, you would love the Intelligent Elimination Techniques (IET) by ClearIAS. As you know, cracking competitive exams = 50% Knowledge + 50 % Strategies (Skills). 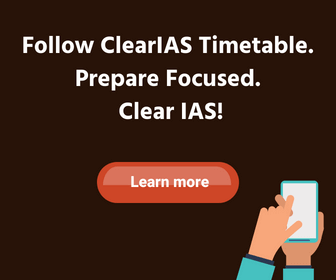 ClearIAS as a self-study portal for UPSC aspirants has been giving equal importance to knowledge part as well as skills. We have been continuously pushing candidates to improve their exam skills – through blog posts and emails. We have already written about Memory Techniques and Question Paper Solving Techniques (3-2-1-0 E method). Intelligent Elimination Techniques are closely linked with the same. You can call these Intelligent Elimination Techniques (IETs) as MCQ Hacks, Cheat Codes (as in video games) or whatever. As long as the process of finding the correct answer is using ethical methods, and no exam hall ‘cheating’ is involved, there is no need to worry. These techniques have been extremely beneficial to me. Hope this will help you too to clear UPSC prelims with flying colour this year! All the best! PS: Let us know your thoughts about the IETs in the comment section below. These are the same hacks I have been thinking.. I think your & my way of thinking matches to some extent. These strategies make difference between successful and unsuccessful aspirant. @ Bob – You are right. Great to know that you already right on track. Stay tuned for more IETs. All the best! @Joe – Thank you for the feedback. Happy to know that the post is helpful. All the best! Thank u so mu h sir for this help. 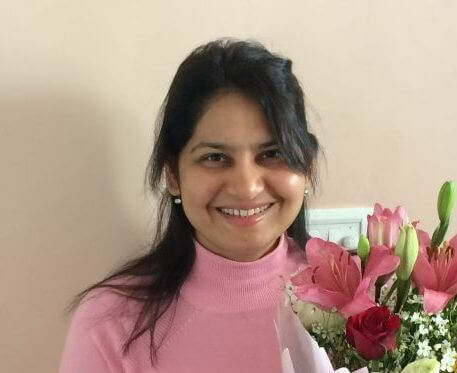 @Harishita – Happy to help. All the best! This is the best way to find correct answers this method will help me a lot in my preparation. @ Suraj – Thank you for the fantastic response. when is your next workshop in trivandrum…??? these hacks are amazing btw..!! @ Anu – Great to know that the MCQ hacks are useful. We have plans for more workshops online/offline. Dates are not fixed as of now. It’s very helpful..Thanks a lot…Sir. @ Mahesh- Thank you for the feedback. Aspirants like you are our support and strength. @ Ayush – Thank you for taking the time to provide us with feedback. We love to create contents like this. Many extra IETs are made part of ClearIAS Prelims Test Series. We have plans to discuss more IETs via ClearIAS Blog Posts/ClearIAS Workshops/ClearIAS YouTube Channel soon. Stay tuned. @ Jonathan – You are welcome. Thank you for the feedback. All the best! Thank you so much sir.i will definitely follow this technique on test series later on upsc. @ Aqsa – Excellent! All the best! @ Aftab – It’s a pleasure! @ Sarah – Thank you for the feedback. Many extra IETs are made part of ClearIAS Prelims Test Series. We have plans to discuss more IETs via ClearIAS Blog Posts/ClearIAS Workshops/ClearIAS YouTube Channel soon. Stay tuned. @ Deepak – Great to know that you got new insights. It’s our pleasure. Thanks sir for your effort. Hatsoff. Expecting more in the coming days. @ Ammu – Thank you for the comment. Our aim is to make learning fun. We shall surely discuss more IETs in the coming days. So i appreciate u & thanks a lot…..
@ Monu – Thank you Monu for the appreciation. @ Arun – You are welcome.